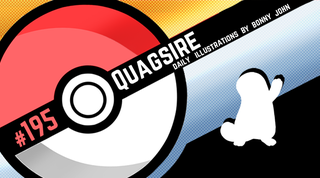 Quintessential Quagsire! Pokemon One a Day, Series 2! Sorry that I'm not sorry and you're welcome TAYkin. Question of the Day: Design MegaQuagsire through visual design or describe what he'd be like!